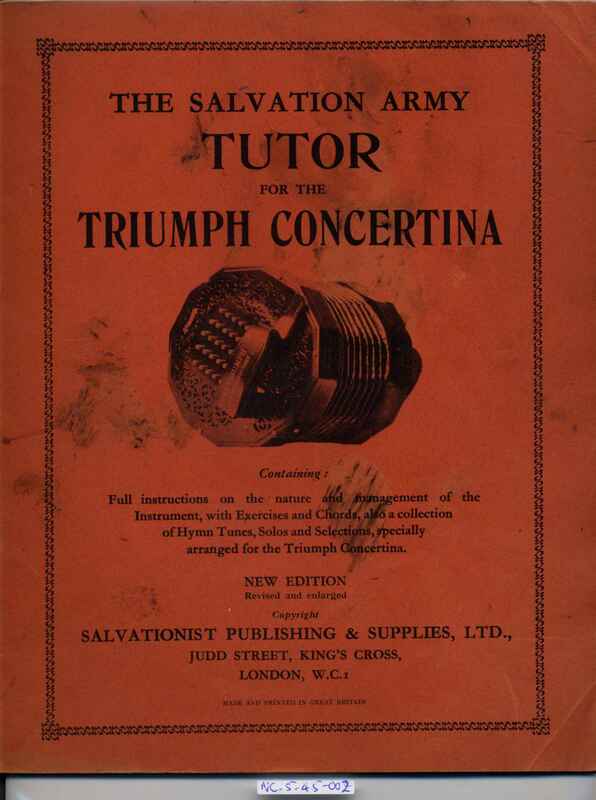 Full Description: An later 1938 edition of “The Salvation Army Triumph Concertina Tutor”, publ by Salvationist Publishing and Supplies Ltd, Judd Street, King’s Cross, London WC1. This form of the duet concertina was developed by Lachenal & Co for the Crane & Co musical Instrument dealers in Liverpool, and is alternatively named the “Crane’s Patent” concertina. 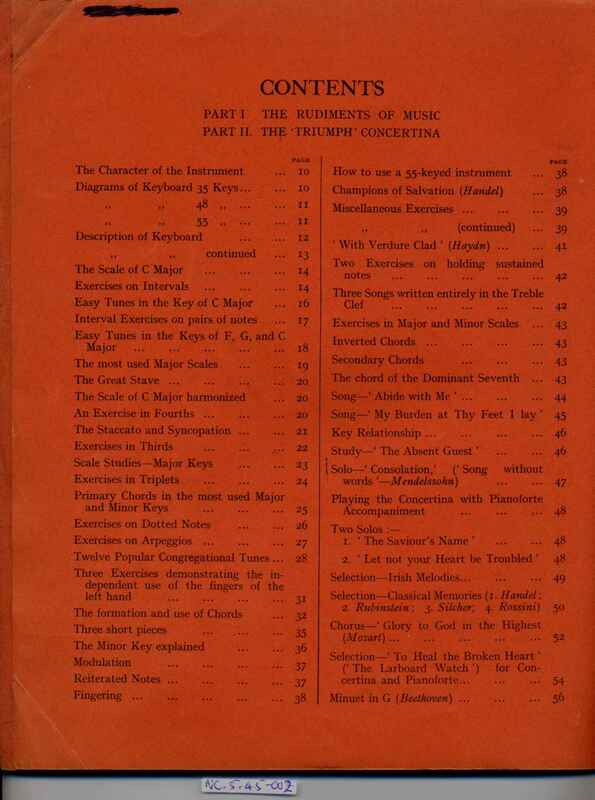 It became popular with the marching concertina bands associated with the Liverpool Orange Lodges.